As an award winning Toastmaster™ and professional motivational speaker Stan is uniquely different. Utilizing an innovative mnemonic device, he delivers an entertaining and educational experience. Additionally, he creates an interactive learning environment with a high degree of audience participation that produces tangible results. He incorporates each learning style into his presentations to ensure that each audience member will receive the fullest benefit. In his new book, “How to do the Impossible and a Whole Lot More,” Stan introduces a systematic approach to solving problems and reducing stress. It outlines a practical step-by-step process for increasing productivity and achieving personal and corporate goals of any size. As an inventor, Mr. Reynolds has created the Logic Die™ to deliver these effectual systems. The Logic Die™ is a mnemonic device that is given to each member of your audience as a take-home. This tool facilitates the anchoring of time proven self-help principles into the mind and lives of all participants. It ensures that the valuable lessons learned will endure the time-span between the inspirational message and the practical applications of the teachings. For over 30 years Stan has addressed countless groups; from business owners to kids; from college students to teachers. He has coached and mentored numerous professionals on business development, marketing, sales, client/employee relations, conflict resolution and volunteerism. Stan’s extensive knowledge is a result of decades of practical experience as a business owner, employing hundreds of individuals and the wisdom he has gained from others by virtue of his massive library. As an entrepreneur, he has built several businesses and presently owns Affordable Mini-Storage in Plant City, Florida. Stan’s leadership skills were evident at an early age, serving first as president of his church’s MYF, Methodist Youth Fellowship. As a high school senior, Stan was the 1971-1972 President of DECA, Distributive Education Clubs of America. Upon graduation he immediately acquired full control and ownership of one of the family's businesses, Reynolds Tire Town which he quadrupled in size in just 3 years before a devastating fire changed the course of his life forever. It led to a spiritual turning point in his life. Stan sold his remaining interest of the tire business to a partner he acquired in year two. He then co-founded, Emergency Insulation, a commercial and residential insulation enterprise. A year later he bought out his partner and successfully operated the business for another five years before selling to a competitor. In 1982, Stan accepted his very first employment position with Dale Carnegie Training®. After two years he departed to start a new company Lawyers Trust™. Nevertheless, he continued to serve as a Coach for the Dale Carnegie Sales Course®, management course and personal development course for more than a decade thereafter. In 1984, Mr. Reynolds lobbied of the Florida Bar that eventually led to the Florida Supreme Court’s modification of the Rules of Professional Conduct for lawyers. Subsequently, Stan launched the first private lawyer referral service in Florida and several other states generating in excess of a million inquires and 360,000+ referrals. During this time he hosted a weekly television show, “You and the Law.” and eventually sold his interest in Lawyers Trust™. Nevertheless, after the elapse of the Non-Compete clause, Stan would again serve the legal profession. To this day he maintains a limited number of attorney clients. In 2000, for only the second time Stan accepted employment. He served as a consultant for George S. May International Company, one of our nation’s oldest and most successful business consulting firms. Due to the untimely death of his father in December 2001, Stan returned home to assist in the family business. After buying his siblings out, Stan has doubled the size of his self-storage facility, Affordable Storage, which he still operates today. 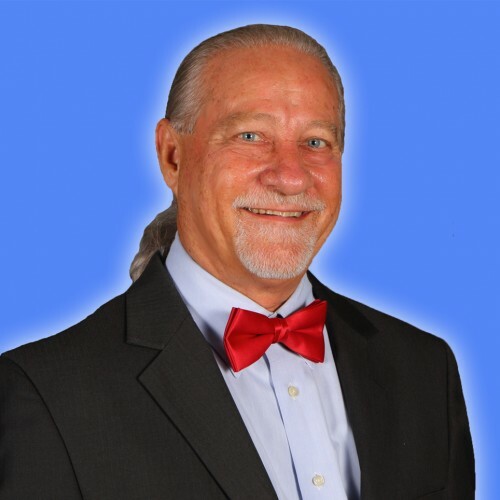 More recently, Stan has been elected to two nonconsecutive terms as president of Plant City Toastmasters™, appointed to the Board of Plant City Entertainment, Inc. and serves as an Ambassador for Plant City Strawberry Festival, to name a few. In 2013, 2014 and again in 2015 Stan will coordinate and lead the volunteer efforts of more than 10,000 volunteers in an eight week period for Metropolitan Ministries as together we serve the needs of our community during the holiday season. He acted as Volunteer Captain for the 2014 and 2015 Gasparilla Music Festival and will serve again in 2016. In 2015, Stan was honored with a Life Time Achievement Award, Director’s Choice Award and Cast’s Choice Award. He has also been honored as Volunteer of the Year, Volunteer of the month and the list goes on and on. Stan has been active in church work, was married for 35 years and is the proud Papa of eight beautiful grandchildren. His passion is making a difference in people’s lives by teaching critical thinking skills that leads them towards self-sufficiency. He strives to be a “good listener,” which enables him to possess the insight required to deliver recommendations that provide substantial long-term value. Thank you so kindly for reviewing my Biography. I look forward to serving you and your group. P.S. Please call now to secure the date for your next event; (813) 406-7000(813) 406-7000, you will be glad you did. Find out more about Stan Reynolds at http://StanReynolds.com.